Subaru Legacy since has always played second fiddle to its Outback wagon sling. The Outback has co-opted for car buyers' laws of SUVs to generate more sales, the Legacy has had to fight against the Honda Accord and Toyota Camry for a slice of the ever-shrinking sedan pie. 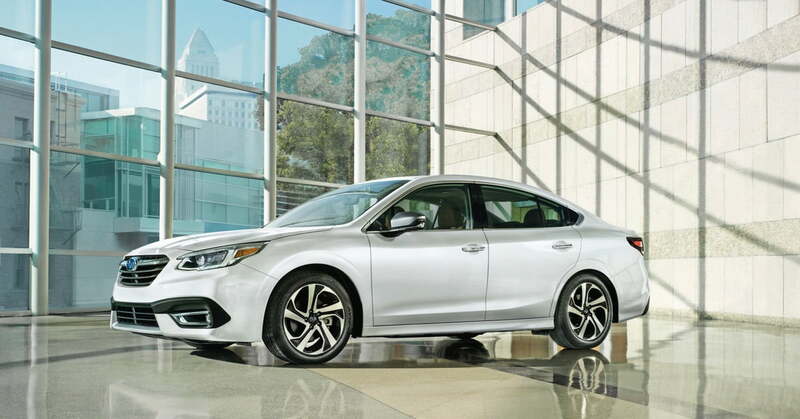 But the redesigned 2020 Subaru Legacy, which debuts at the 2019 Chicago Auto Show, makes a strong case for itself. 82 horsepower and 176 pound-feet of torque. Equipped with this engine, Subaru claims the Legacy will do 0 to 60 mph in 8.4 seconds, and achieve Environmental Protection Agency-rated fuel economy of 27 mpg city and 35 mpg highway. The 2020 Legacy will also be available with a turbocharged 2.4-liter four-cylinder engine, which makes 260 hp and 277 lb.-ft. of torque. Subaru claims 0 to 60 mph in 6.1 seconds, and 24 mpg / 32 mpg city / highway. The first turbocharged engine offered in Subaru's midsize sedan since 2012, brings back memories of the old Legacy GT performance models. But unlike those cars, the 2020 Legacy won't be available with a manual transmission. A CVT is the only option for both engines. The Legacy ogogets more tech in the cabin. The available 11.6-inch touchscreen is the largest ever offered in a Subaru. Its portrait orientation apes tablets, and it includes a split-screen function that can show two types of information at once, such as navigation and audio. The large size of the screen also enables a new Front View Monitor feature that shows a 180-degree view around the front of the car. The Legacy also gets a built-in Wi-Fi hot spot for the first time, while Apple CarPlay and Android carry over as standard features. The 2020 Subaru Legacy goes on sale this fall. Pricing will be announced closer to the on-sale date.